Musicians Kendra Ward and Robert Bence play Christmas music on hammered dulcimer and guitar. The duo returns for the Our House Tavern open house event held in conjuction with the Gallipolis In Lights Park Lighting on Wednesday, Nov. 21. Our House Tavern will offer free hot chocolate, cookies and a look at a Victorian Christmas at its free open house Wednesday, Nov. 21. 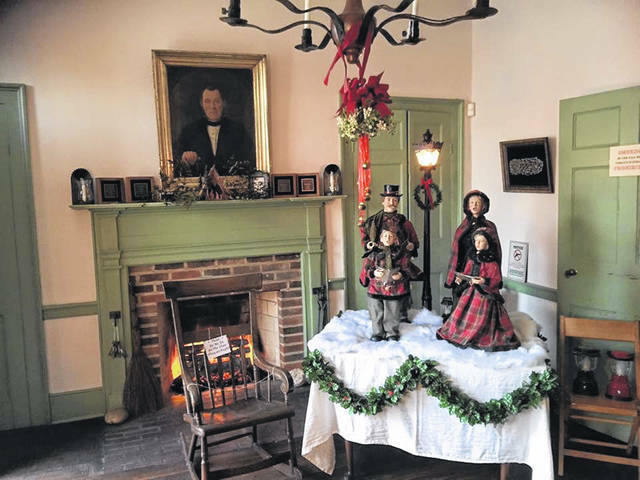 GALLIPOLIS — A Victorian Christmas experience awaits those who visit the historic Our House Tavern on First Avenue. The holidays open house event is held for one night in conjunction with the Gallipolis In Lights Park Lighting and happens from 6-9 p.m., Wednesday, Nov. 21 at the museum located near City Park. Volunteers at Our House have been working to decorate every room in the spirit, and theme of, a Victorian Christmas. Inside the tavern will be live greenery, fresh fruit centerpieces and period correct holiday decor, including a Christmas tree in the ballroom. Our House will be lit by candlelight for the free tours. In addition, there will be a “bar” set up, serving hot chocolate to children and cookies will be offered. The cookies are made from a recipe dating back to 1784, according to Becky Pasquale, site manager. The night will also include holiday performances by musicians Kendra Ward and Robert Bence. 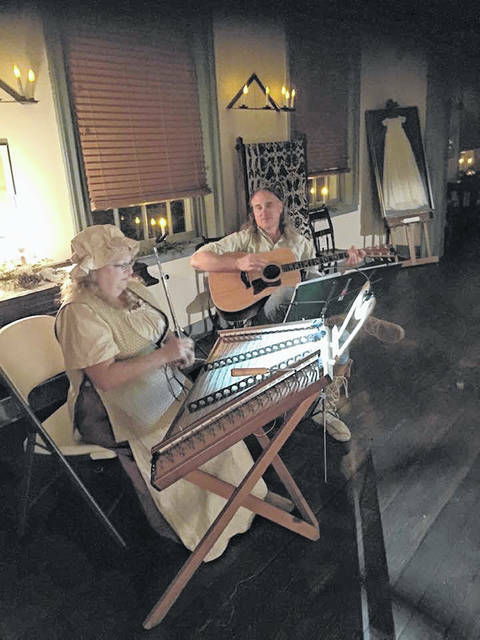 The duo will play period Christmas music on hammered dulcimer and guitar. Ward and Bence have performed all over the world and at festivals across the country. Mashell Brown with Pup and A Cup tea company will also be on hand, giving out samples of tea and selling her wares as well. Pasquale said Brown has a holiday tea for this time of year. This is the sixth year Our House Tavern has held this open house event alongside the Gallipolis In Lights Park Lighting. In the past, more than 200 people have toured the home during the festivities in a span of only three hours. Our House is open by appointment for special events and educational tours. The ballroom is also available to rent. For more information, call 740-446-0586.